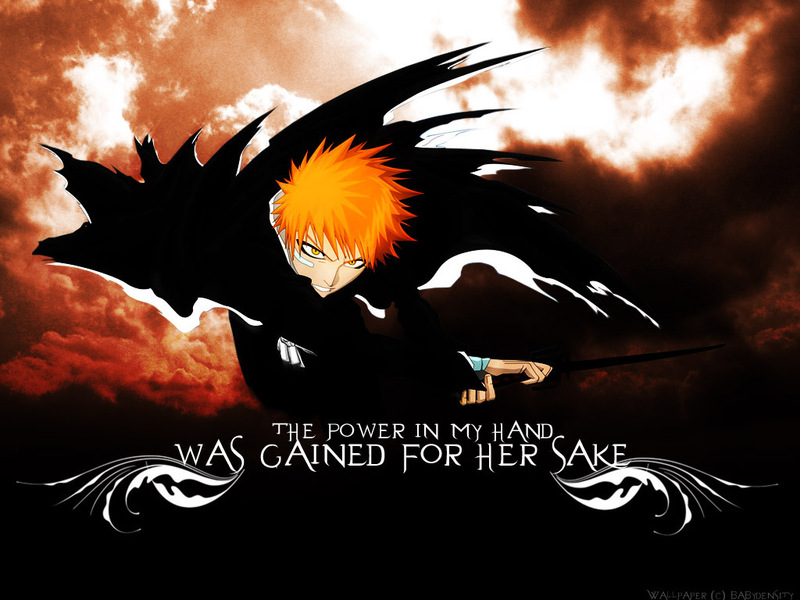 Kurosaki Ichigo Bankai Form. . HD Wallpaper and background images in the anime bleach club tagged: kurosaki ichigo bankai. Haha, Is he wearing eye liner xD, Still cool! Love it! love. i just changed it into my desktop background. I love that quote! 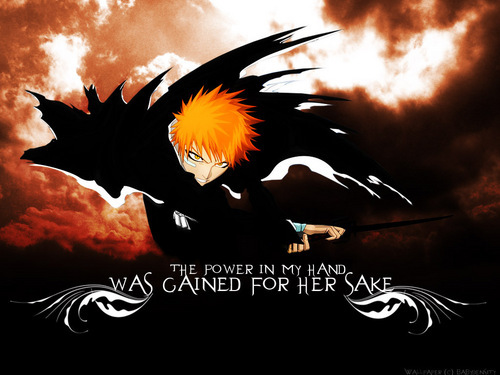 He gained Bankai for her sake...that's heart-melting!